The string spacing rule features markings that get gradually further apart for marking out nut and saddle slots. When marking out nut slots, if all strings are spaced evenly the thicker bass strings feel crowded, but by using the spacing rule, the spaces between the strings remain consistent, giving a more even feel across the neck. 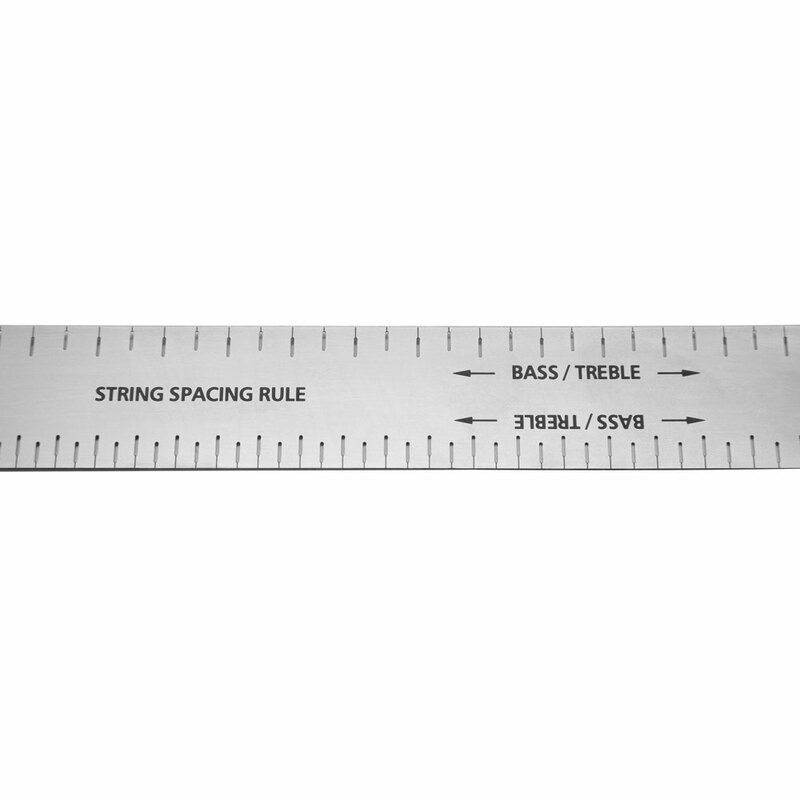 The use the ruler, simply mark the outer strings on the nut and then match up 2 lines on the ruler with these outer string marks, using the lines on the ruler between the outer strings marks, mark each remaining string position on the nut (each line on the ruler represents a string, so the outer strings should be 6 lines apart for a normal guitar). 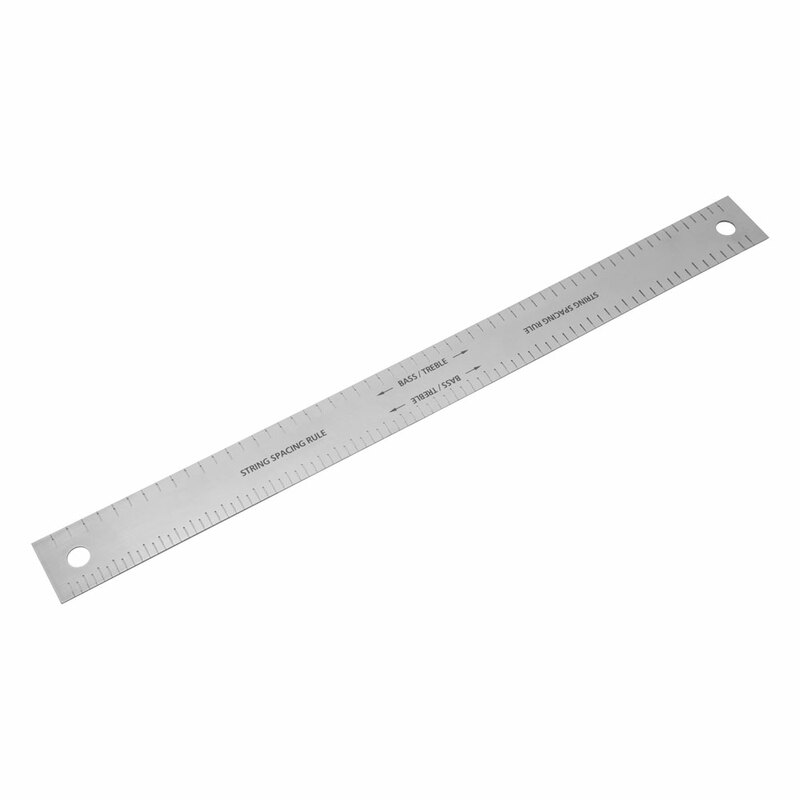 The Flexible stainless steel ruler conforms to the nut or bridge radius to allow for accurate marking out, and there's 2 sets of line markings on each edge or the ruler for maximum versatility (find the set that matches your outer string marks for your number of strings, don't mix and match line sets).